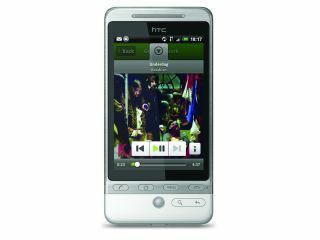 3 has announced the HTC Hero, complete with Spotify Premium subscription, is available from its shops. Consumers get a free* Spotify Premium account for two years, allowing them to use music streaming on the Android handset. The reason it's not free* is that the deal is tied into the cost of the contract - customers pay £99 up front and £35 a month for two years to get the phone complete with Spotify. When compared to other similar phones on the network, it does mean you get Spotify Premium for around £100 less than it would have cost to buy outright, and plus it's tied in to your monthly bill anyway. The Hero is also available in non-Spotify variations on Pay as you Go, with the phone costing £369.99, meaning a no string attachment to the top Android phone. And if you don't want either but still want a spot of Spotify, you can also get a free** month's subscription to the premium service by picking up a £19.99 mobile broadband dongle.